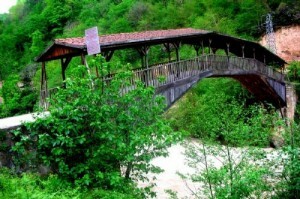 Gumushane located in North east part of Turkey and between Trabzon to Gumushane 100 km. Gümüşhane is a city named for its abundant silver mines. The city merges history and nature and is located on the China-Trebizond historical silky road. It was built in 3000 B.C. just 100km from the sea in the Central Eastern Black Sea Region.Gumushane has a magnificent, unspoilt, tourist potential with its caves, ski centres, plateaux, waterfalls, ancient cities and wide variety of flora and fauna. Gumushane’s history dates back as far as 3000 B.C. The city was conquered in 1058 by the Turks led by Tugrul Bey’s army. It later changed hands of various Turkish Beys finally being governed by the Akkoyunlu. In 1473 Sultan Mehmed the Conqueror defeated the Akkoyunlu at Otlukbeli after which the Ottoman took over Gumushane permanently. When Sultan Suleyman the Magnificent passed through Gumushane on his way to the Iranian Campaign, he ordered the Old Gumushane to be rebuilt. This area is now known as the Suleymaniye District. Evliya Çelebi visited Gumushane in 1647 and mentioned in his Travelogue that silver mines were plentiful and amounted to at least 70 mines. In Celebi’s literary work called the “Cihannuma”, he again mentions the mining of silver, gold and copper. This has been an important religious, commercial and cultural site since the 17th century. The site is located within today’s Dumanli Village. It has 7 districts and is 80km from the city centre. You can reach it via the Yağmurdere District. Each district consists of single-storey houses built completely of stone, 1 or 2 churches with stone exteriors and a fountain at each street corner. Santa is rich with historical relics and is a natural plateau.